This is an oldie but a goodie I read a few years ago in Forbes Magazine to assist those starting out in business or those who have remembered, once again, they need to work on their business and not in it. A strategic plan looks at all the things your small business could do and narrows it down to the things it is actually good at doing. A strategic plan also helps business leaders determine where to spend time, human capital, and money. 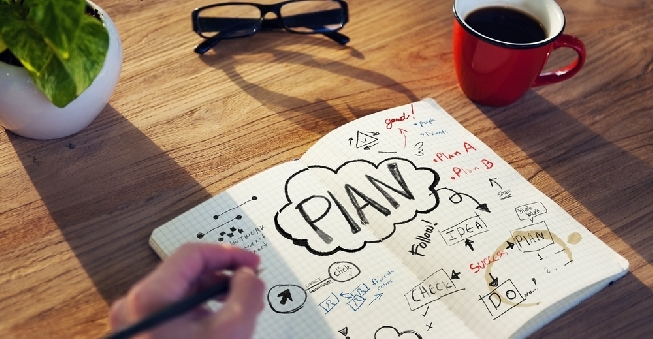 But, how should small businesses approach strategic planning? There are hundreds of business books dedicated to the topic. We’ve read most of them. We put the others on our bookshelf just for show. 1. Determine where you are. This is harder than is looks. Some people see themselves how they WANT to see themselves, not how they actually appear to others. Many small businesses get snared in this same trap. For an accurate picture of where your business is, conduct external and internal audits to get a clear understanding of the marketplace, the competitive environment, and your organization’s competencies (your real—not perceived—competencies). 2. Identify what’s important. Focus on where you want to take your organization over time. This sets the direction of the enterprise over the long term and clearly defines the mission (markets, customers, products, etc.) and vision (conceptualization of what your organization’s future should or could be). From this analysis, you can determine the priority issues—those issues so significant to the overall well-being of the enterprise that they require the full and immediate attention of the entire management team. The strategic plan should focus on these issues. 3. Define what you must achieve. Define the expected objectives that clearly state what your organization must achieve to address the priority issues. 4. Determine who is accountable. This is how you’re going to get to where you want to go. The strategies, action plans, and budgets are all steps in the process that effectively communicates how you will allocate time, human capital, and money to address the priority issues and achieve the defined objectives. 5. Review. Review. Review. It’s not over. It’s never over. To ensure the plan performs as designed, you must hold regularly scheduled formal reviews of the process and refine as necessary. We suggest at least once a quarter.